It depends on how they’re deployed and managed from head office. When highly trained professionals spend more time talking to their phalanx of producers from a plethora of programs back home than to people on the ground, everyone is the poorer. When correspondents are fed Reuters copy and social media lines to regurgitate and thereby feed the rolling news beast and its insatiable appetite, we all lose; the craft, the audience, the historical record. Sometimes even the people you’re reporting on suffer. That’s when important context, nuance and facts, which may change governments’ minds and their lives, are missed – because journalists are trapped in the talk-not-listen cycle. Thankfully, Matt Brown – and indeed all the superb Lowy Institute Media Award finalists – were given time and support to do first-hand, first-rate reporting rather than the opposite. Too often, however, that’s not the case. 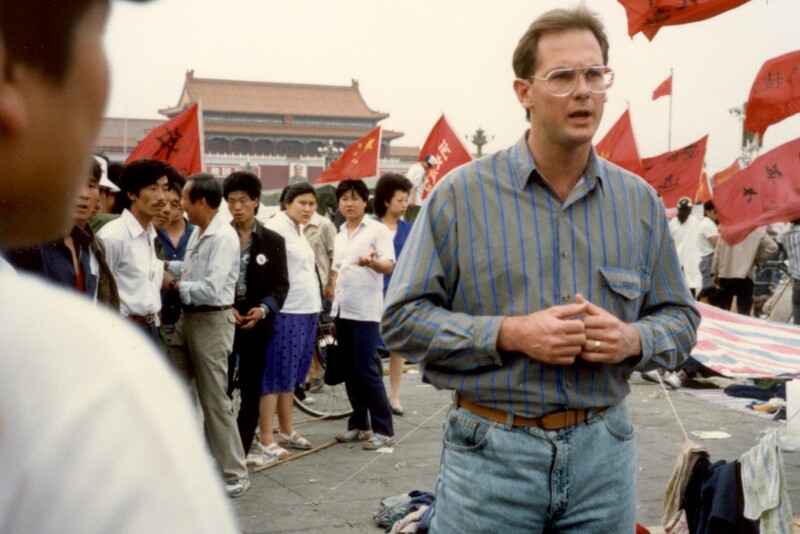 The greatest privilege of my life was to report from 30 plus countries for the ABC, and then to be responsible for foreign correspondents at various networks (ABC, Nine and Al Jazeera English, where we had 59 bureaus). Believe me, the common lament from most now is the lack of time to do what Matt Brown described in his Interpreter article as ‘old school’ reporting. 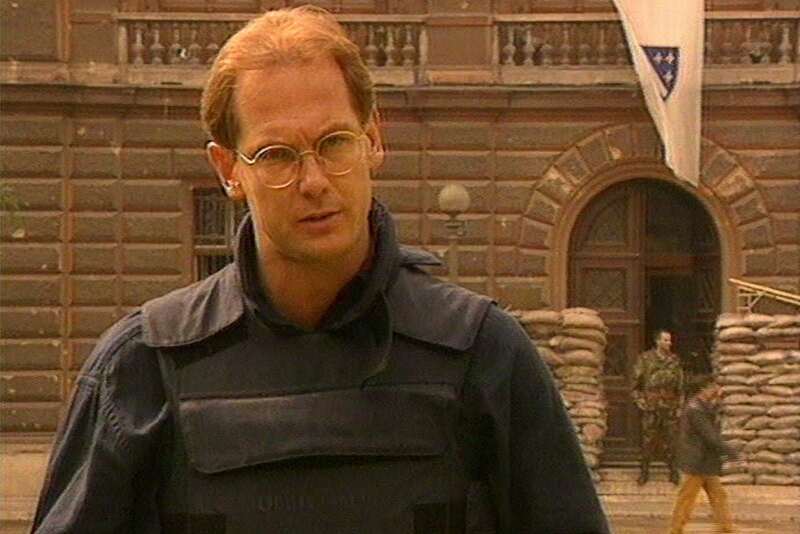 In covering the Balkan Wars from 1991 to 1994, the ABC’s legendary International Operations Head John Tulloh gave us time – and trust – to ‘value add’ and ‘differentiate’. To counteract the blizzard of disinformation given to us by world leaders, diplomats and war criminals masquerading as local politicians, we’d disappear for a week or more gathering first-hand accounts and information from frontlines and enclaves previously hidden from prying eyes or cameras. The small band of Bosnia war correspondents was able to add truth and texture to debates in the global corridors over what to do about the first wars and genocide in Europe since 1945. There was a moment in Sarajevo in 1994 that a United Nations Protection Force Commander may not forget – for different reasons to me. General Sir Michael Rose KCB, CBE, DSO, QGM was addressing a live press conference announcing that Serb tanks had, in fact, pulled back from their encirclement of Sarajevo to meet a condition of alleged peace talks in Geneva. This dishevelled, unshaven reporter got to his feet and pointed out that wasn’t true, because that very day our team had personally spotted a number of tanks (badly) camouflaged and hidden well within the exclusion zone. Well, for a second I thought Sir Michael, the former head of the British SAS, was going to leap across and thrust his thumb into my jugular! He composed to a steely ‘who-let-him-in’ glare when the crass colonial offered to show him our pictures, but ‘bodyline’ took on a new potential meaning in my mind that day. Like our modern counterparts, we often worked on two-to-four of hours sleep when on assignment. Unlike some of them, thankfully, it wasn’t because of interminable live crosses. It was because of the logistics in getting into the field to report firsthand, even if it meant a 10-hour drive and five hours detained at a roadblock. So it gives me inordinate pleasure to see special field reports from, say, the amazing Sally Sara and Phil Williams, given time to find real people and tell their stories. The rewards of the digital age include wider dissemination of such good journalism and the opportunity to introduce more people to the finesse of correspondents like the ABC folk mentioned (and more) and their commercial world counterparts like Rob Penfold and Chris Reason when he’s let off the leash. I’m writing from a broadcast perspective but there are brilliant print correspondents and snappers, despite newspapers closing bureaus as fast as their chequebooks. I’ve often mused about how things might have turned out if smart phone and social media were around earlier. How different would Tiananmen Square in 1989 have been if pictures of the ‘Tank Man’ had circulated to the masses in China – minutes after it happened. My ABC cameraman Willie Phua filmed those iconic scenes with me from the balcony of the Beijing Hotel. Only one other global camera captured the lone protestor on video. Chinese authorities had pulled the plug on satellite dishes. So to get our pictures out, we paid a pedicab cyclist US$500 to courier our tapes to Beijing airport, give them to a westerner flying on Qantas to Hong Kong, with our instruction note to deliver them to the Visnews agency to satellite to Sydney. Tank Man became one of the moments and pictures of the century, but who knows what immediate dissemination of the footage might have stirred in fellow protestors at the time. I muse, too, about how audiences now miss out another great and heart-warming piece of footage from the 20th century – the moment Nelson Mandela claimed victory in the first free election in South Africa. I was astoundingly privileged to be in the small group in that Carlton Hotel conference room in Johannesburg, along with Hugh Riminton (then at Nine) and John Wiseman (at Seven). Mandela made his iconic speech and shimmied along to the first rendition in free South Africa of the national anthem Nkosi Sikelel’ iAfrica. It still gives goosebumps talking about it. Of course it was in our news stories but strangely the footage has rarely been seen since and is virtually impossible to find on YouTube. It’d be a ring tone in South Africa if it happened now! Perhaps there’s no better example of the need for first-hand field reporting than that of the ‘Scoop of the Century’ by British journalist Clare Hollingworth. In 1939 she commandeered a British Consul’s car and chauffeur to drive along the Polish-German border on a fact-finding mission. She spotted a massive build-up of German troops. Hollingworth broke the story of the start of World War II. She had to hold the telephone out the window to catch the sound of the rumbling tanks to convince British embassy officials in Warsaw. Her report was the first the British Home Office knew of the invasion of Poland. The privileges for audiences who, in a world of lunatic conspiracy theorists, trolls and bots, still treasure foreign correspondents and their authentic insights now rest precariously with media organisations and their managers. Program producers should be reminded regularly about the role of foreign correspondents. It’s not just to show they’re there – it’s to show their wares.